See also lombard swash by natic. Info: Created on 21st March 2013 . Last edited on 7th June 2013. This one has the Latin set added, it makes it easy to interchange some letters 'for fun'. Will you make the numbers for it? Excellent work for a first font! 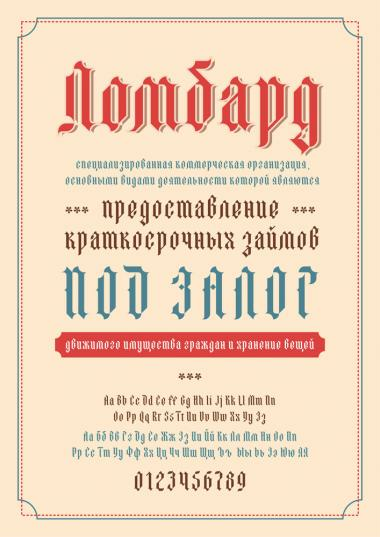 What a beautiful cyrillic set!